Based in a holistic exposition and appraisal of Gramsci’s writings that are of relevance to education in neoliberal times, this book--rather than simply applying Gramsci's theories to issues in education--argues that education constitutes the leitmotif of his entire oeuvre and lies at the heart of his conceptualization of the ancient Greek term hegemony that was used by other political theorists before him. 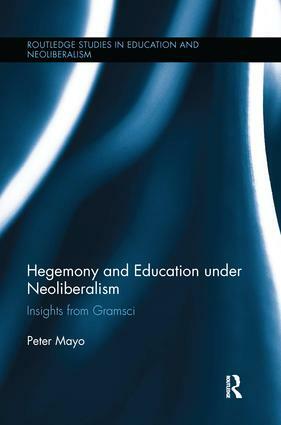 Starting from this understanding, the book goes on to compare Gramsci's theories with those of later thinkers in the development of a critical pedagogy that can confront neoliberalism in all its forms. Gramsci on Schooling: Adieu to a School That Was but Cannot Be Any Longer?